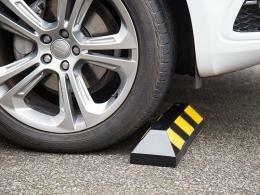 Parking blocks are known by a number of different names including parking stops, wheel stops, bump stops or rubber wheel stops and stoppers. 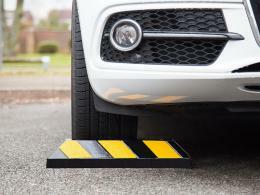 A parking block should not be confused with speed bumps – parking blocks are usually taller and have steeper sides than bumps. Whereas a speed bump is designed to be driven over (with cars needing to reduce their speed! 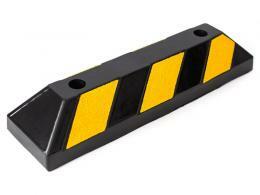 ), parking blocks are actually meant to stop the vehicle moving. They are commonly used in people’s garages to make positional parking easy and prevent low impact wall collisions – anyone who has driven into a garage too quickly or misjudged the length of the car’s bonnet will probably appreciate the value of using parking blocks. 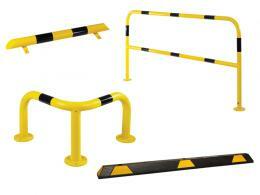 They are also used commercially in parking areas, showrooms, warehouses and other buildings. Traditionally, parking blocks have been made from concrete, but these are obviously very heavy and difficult to manoeuvre into place – the Workplace Depot’s parking blocks weigh in at a modest 4.2 kg. Parking stops tend to be made from rubber and recycled plastic which gives them a long life span – concrete can easily get chipped or broken away because there is no ‘give’ in the material, whereas rubber tends to flex when knocked about. Being made of rubber means they are also much less harsh on the tyres than concrete. 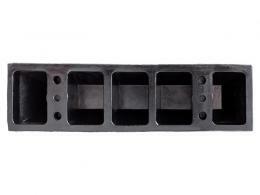 It is also an excellent use of recycled rubber from car tyres for example. As parking blocks are designed to stop cars, they have very steep edges in the shape of trapezoids, and they are usually made to be a few inches high. 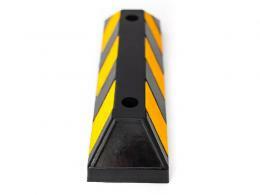 The Workplace Depot’s parking blocks are black and yellow (increasing their visibility). For further safety issues relating to parking stops, please visit the Health and Safety Executive website. They also come with fixing bolts for concrete or tarmac.They can be used individually or in end to end to create longer runs. 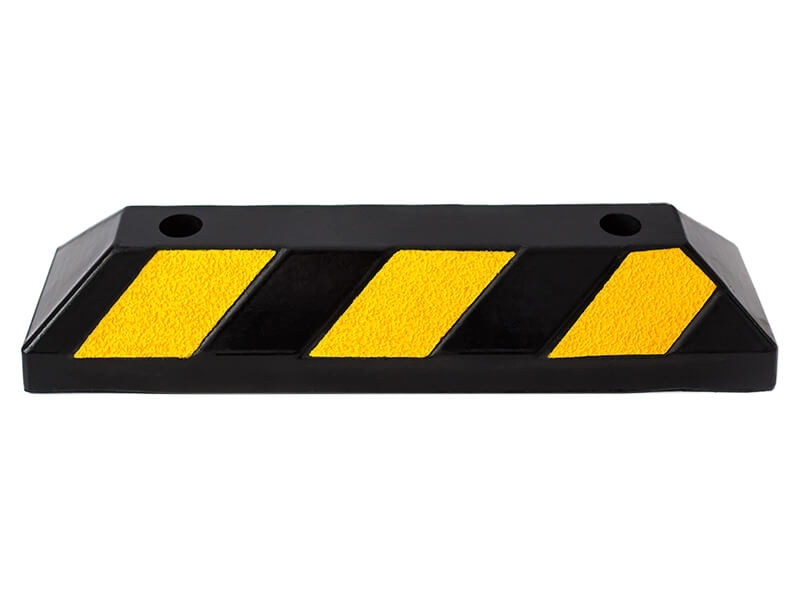 Parking blocks are ideal for preventing the re-occurrence of vehicle related accidents on your property – the Workplace Depot will not be beaten on price for our parking stops! When ordering please remember to select whether you require concrete or tarmac fittings and if you order three or more you will automatically receive a multibuy discount.